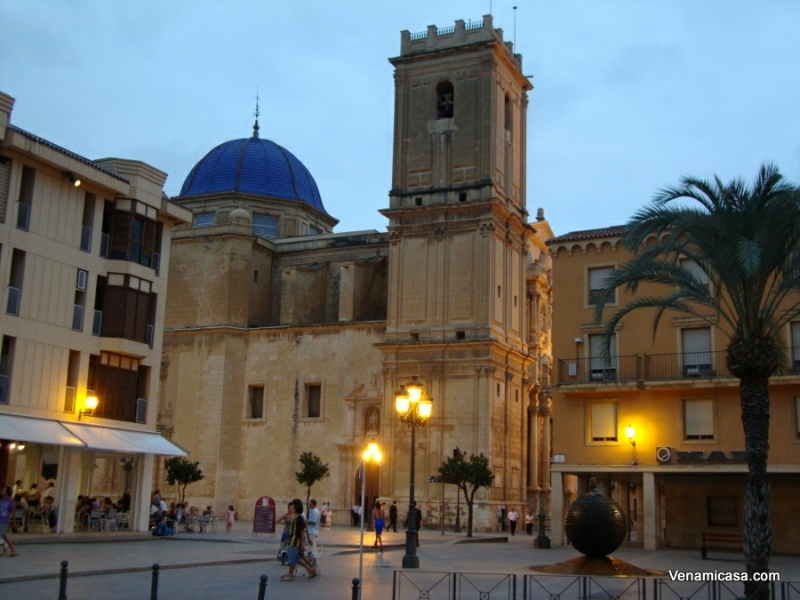 ELCHE: A CITY WORLD HERITAGE BY UNESCO. Palaces, towers, mansions, domes and palm trees accompany Elche on its path in the direction of the sea to a river, which divides the city into two. A City which has been able to adapt to each period of history because the passage of time and thousand-year-old civilisation shave shaped it into a warm and cosmopolitan city, which is well worth the visit. 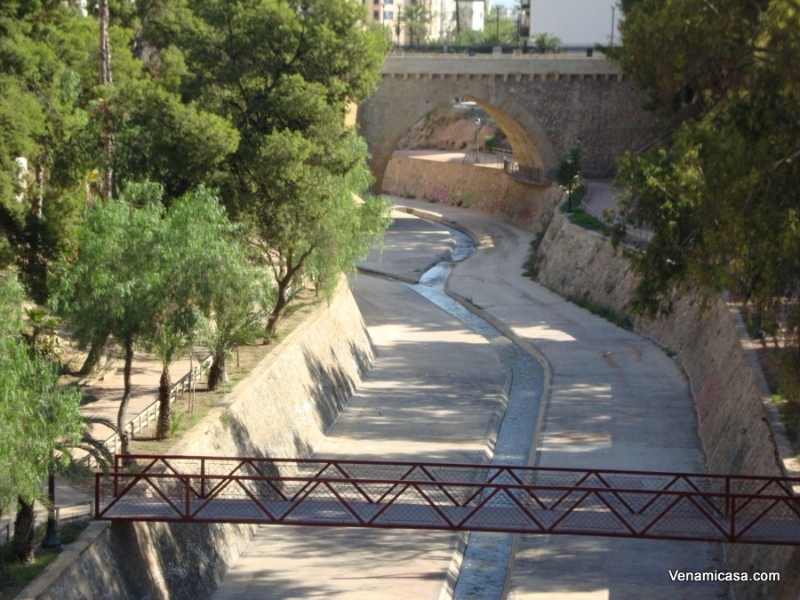 Its extraordinary landscapes, the still evident traces left behind by thousand-year-old civilisations and its intangible history shape the journey through a city in chich, obviously, one cannot ignore the beauty of its palm grove, because of course, in Elche, the thrird city in the Region of Valencia in terms of the number of inhabitants, has more plam trees than people. 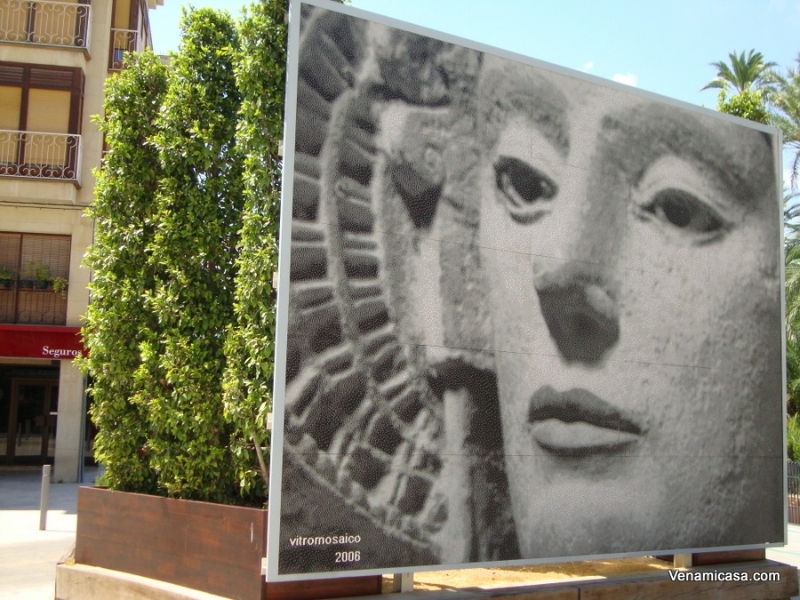 The urban landscape is unique because here the historic monumentality is combined with the morderity of a dynamic city with the largest palm grove in Europe, one of Elche two assets which have been proclaimed World Heritage Sites by UNESCO. 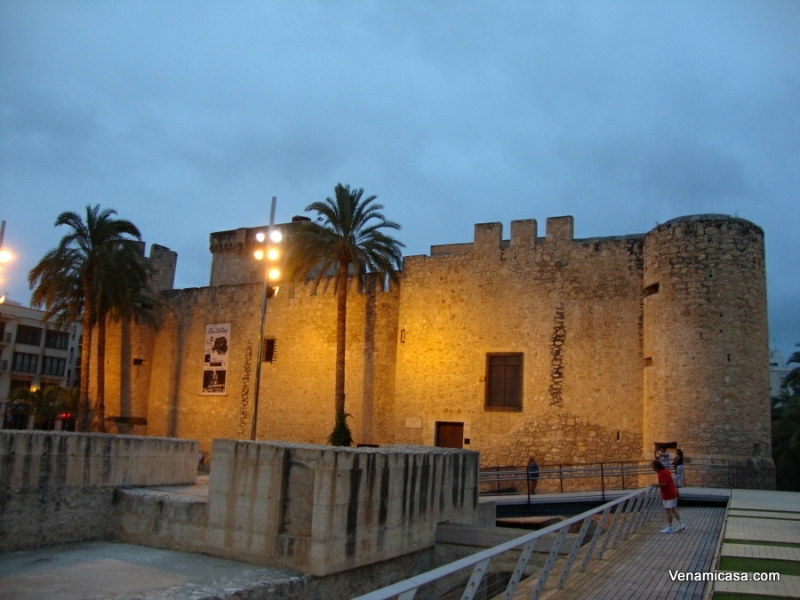 The Alcasser de la Senyoria was the residence of the lords of the city between the 15th and 19th centuries, built in three stages. 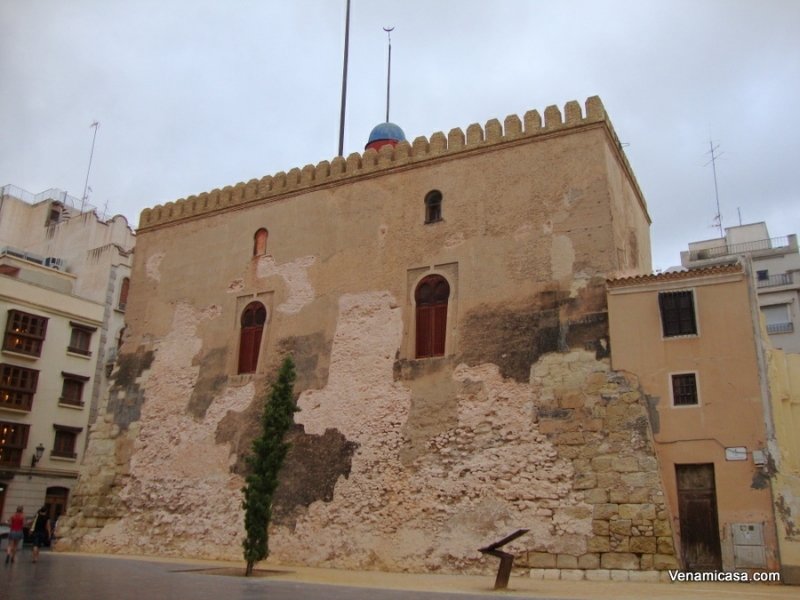 The first Almohad part dates from the 11th to 13th centuries and can be observed in the main body of the large tower and in some of the plinths. 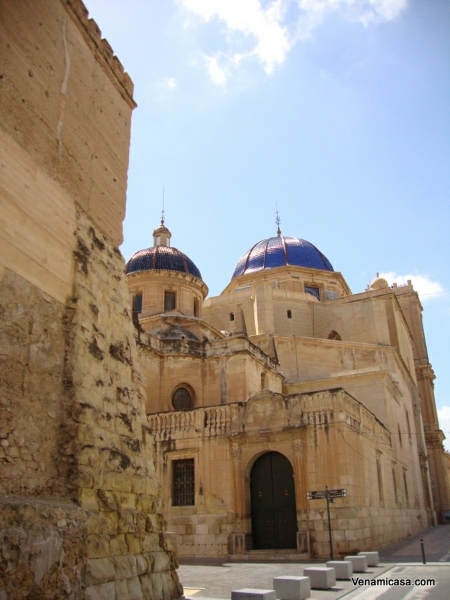 The secons part, which forms the majority of the building dates from the 15th to 16th centuries. Finally the great southern façade built during the 18th century and which hides the primitive medieval entrance. 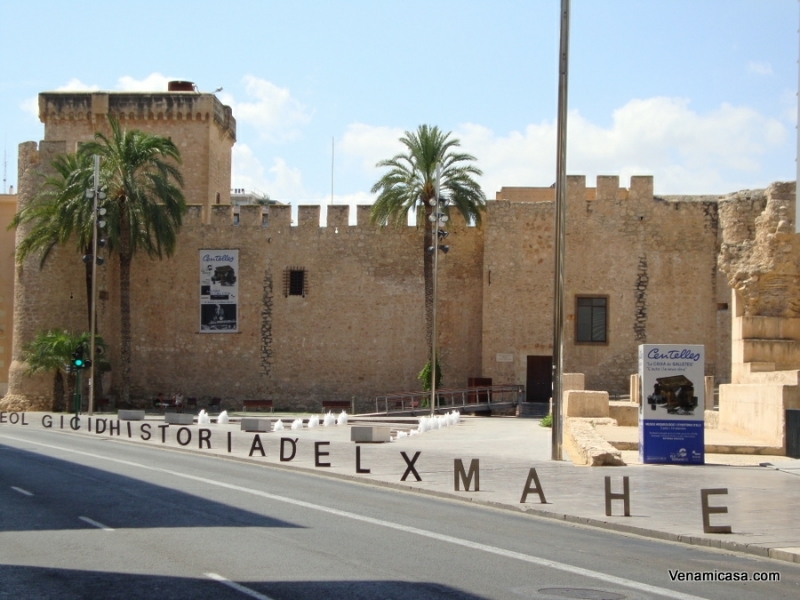 The Alcasser de la Senyoria and the adjoining rooms house the Elche Archaeology and History Museum, better known as the MAHE. 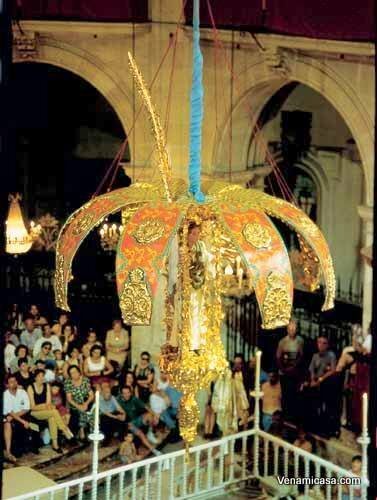 The tour leads to the Basilica de Santa Maria. 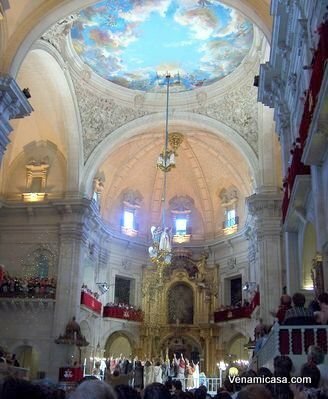 The entrance doors to the temple are one of the most beautiful from the Valencian baroque. 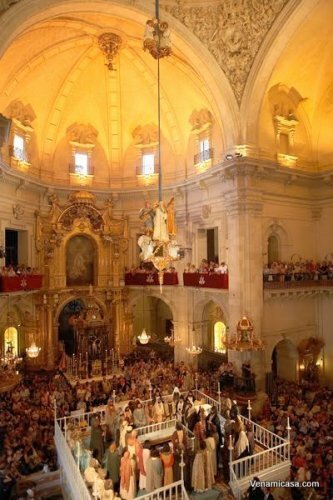 The Basilica stages the Misteri d’Elx proclaimed as Oral and Intangible Heritage of Humanity by UNESCO in 2001, this is a sacred lyrical drama, the last living testament of European medieval religious teatre, which is performed in August every year. Very near to the Town Hall, atthis point along the tour there is either a walk through Raval, the Moorish neighbourhood. In Raval it is possible to see one of the buildings of the historial quarter with the most character, the old town hall. 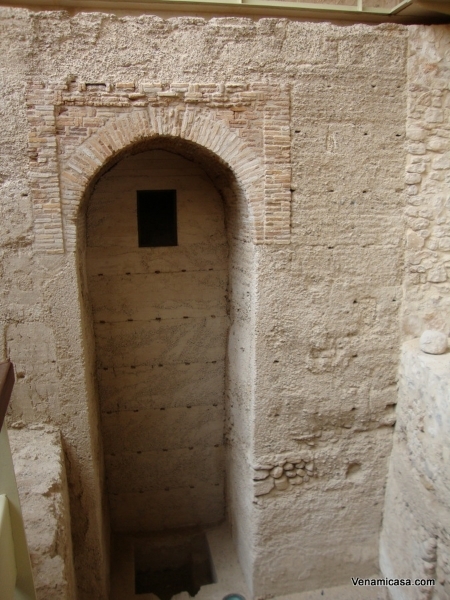 The tour then passes by the Arab Baths have been preserved which were built in the seconds half of the twelfth century consisting of three parallel and vaulted naves. belive me, it worth a visit! 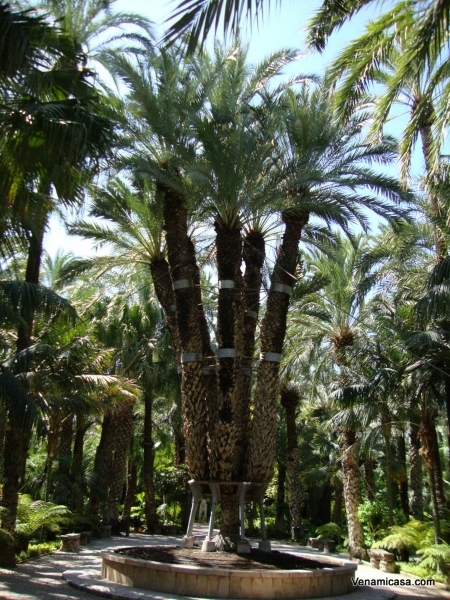 The Palmeral (palm groves) of Elche represent a remarkable example of the transference of a characteristic landscape from one culture and continent to another, in this case from North Africa to Europe. 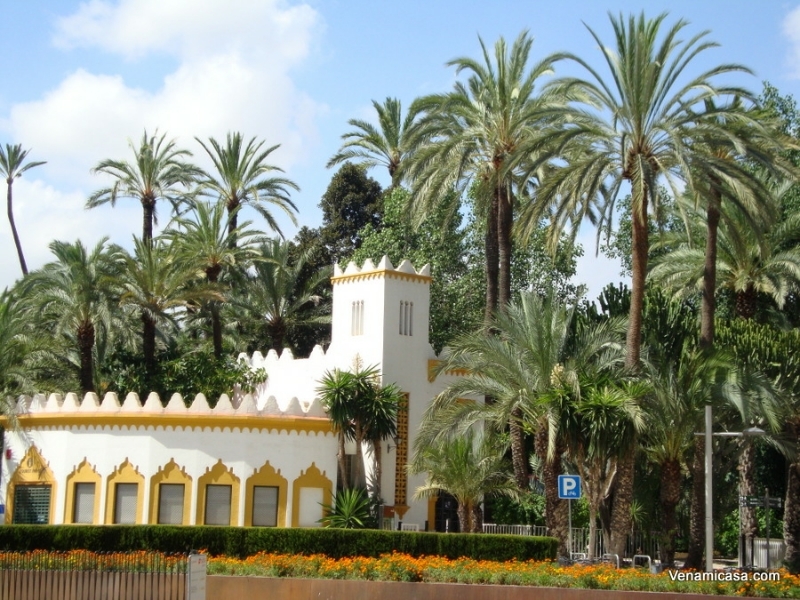 The palm grove or garden is a typical feature of the North African landscape which was brought to Europe during the Islamic occupation of much of the Iberian peninsula and has survived to the present day at Elche. The ancient irrigation system, which is still functioning, is of special interest. The Huerto del Cura, categorised as an artistic garden, covers 13,000m2. Inside visitors can enjoy a harmonious combination of Mediterranean plants as lemon trees, orange trees, pomegranate trees, carob trees and jujube trees, together with other sub-tropical plants that have been collected over the years from the most exotic corners of the world which have become acclimatised to our climate, in an atmosphere of calm and tranquility while the palm trees, the garden’s true stars, endow it with its unique aspect. Visitors can contemplate due to its rarity. 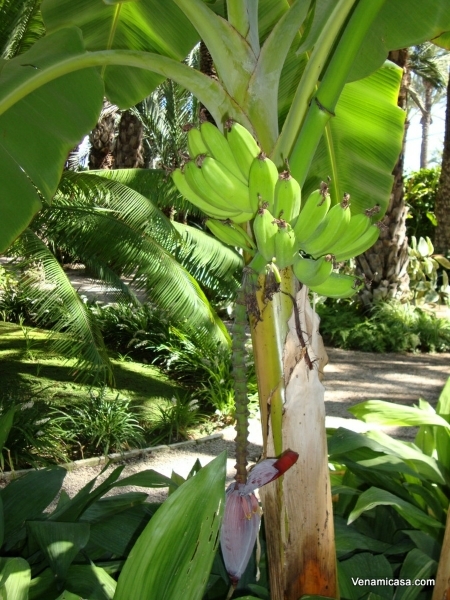 The Imperial Palm is the garden’s most treasured plant. This unique date palm, of exceptional symmetry and beauty, has seven arms sprouting from a single trunk. It obtained its name when Chaplain Castaño dedicated it to “Sissi” Empress Elizabeth of Austria on her visit to the plantation in 1894. 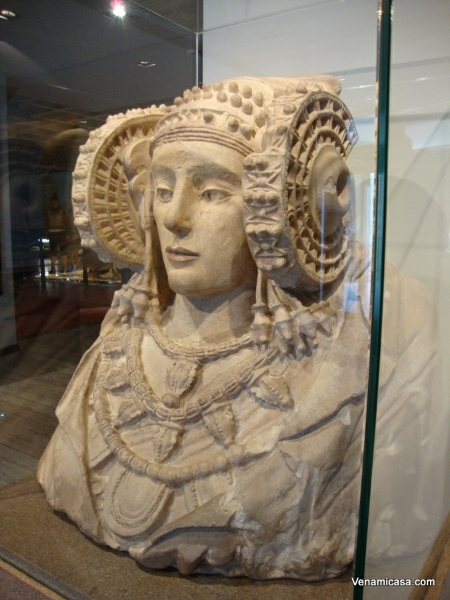 After our visit to Elche, a nice City is on our way: Alicante. A short visit worth it. 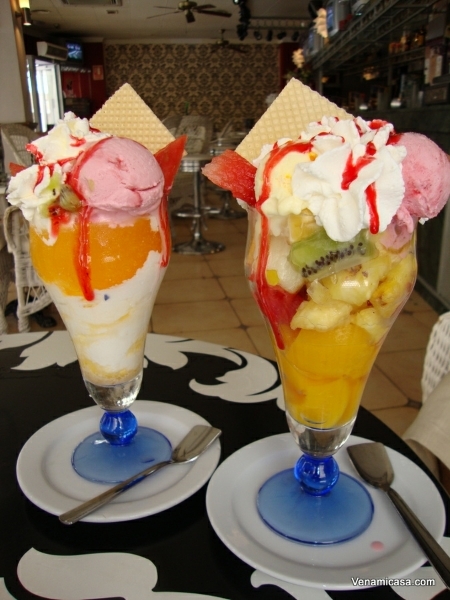 We’ll visit the City and the Promenade with spectacular views to the Castle.